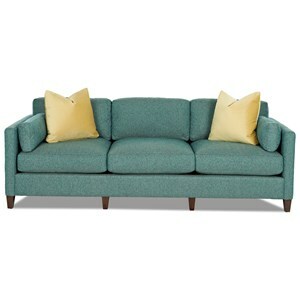 This sofa centerpiece is an easy way to create picture-perfect style worthy of the popular lifestyle magazines and blogs. 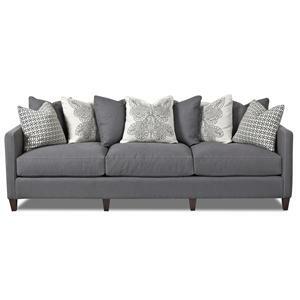 It dazzles with its classic, tuxedo sofa silhouette and square bolster pillows crisply bordered in welt cords. 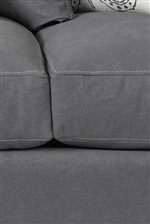 The cherry on top of this sofa are the super plush, down blend seat cushions, adding a luxurious feel to match the high end look. 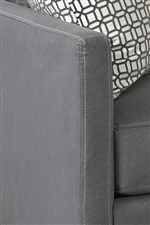 The Jordan Contemporary Tuxedo Back Sofa with Bolster Pillows by Klaussner at Hudson's Furniture in the Tampa, St Petersburg, Orlando, Ormond Beach & Sarasota Florida area. Product availability may vary. Contact us for the most current availability on this product. 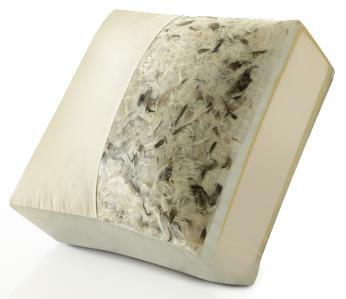 Pillow Includes two bolster-style arm pillows. Toss pillows can also be added to this style for additional charge. 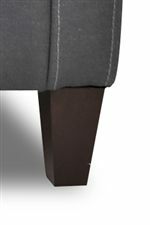 The Jordan collection is a great option if you are looking for Contemporary furniture in the Tampa, St Petersburg, Orlando, Ormond Beach & Sarasota Florida area. 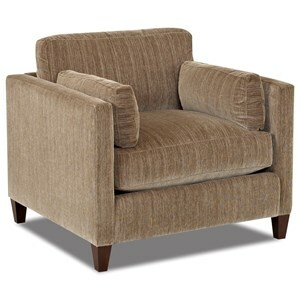 Browse other items in the Jordan collection from Hudson's Furniture in the Tampa, St Petersburg, Orlando, Ormond Beach & Sarasota Florida area.